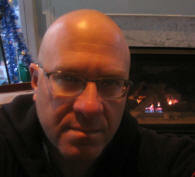 Rob is the organizer founder of the Winter Brain, Optimal Functioning and Positive Psychology and StoryCon Meetings. He is president of Futurehealth, Inc., Publisher of www.OpEdNews.com and has interests in Positive Psychology as well as being involved in the field of biofeedback/neurofeedback since 1972.
see my more detailed bio, here. A walk through the people, technology, science, techniques, theories and models that have influenced the current state of the art of Neurofeedback and EEG biofeedback, from a speaker who has known many of the pioneers. This panel will discuss the ways of Finding, Mining, Divining, Dreaming Stories-- how to access, acquire, process, analyze, integrate, edit, revise stories. There are different ways to wake up. We wake up from sleep. The rest are metaphorical. This presentation will explore different kinds of awakening and diffent paths and approaches for enabling them. The hero's journey can be seen as a series of awakenings. awakening to living with feet in both worlds. All these phases and forms of awakening move the individual toward higher levels of consciousness and awareness. The tools for self regulation, self awareness and optimal functioning are ideal for enabling awakenings. Biofeedback, meditation, relaxation, yoga, energy therapies, positive psychology, coaching, psychotherapy all provide tools that can help in the process. The hero's journey provides a conceptual model for different kinds and stages of awakening.